Political cartoons are one of our favorite ways to teach high level concepts, as the symbolism tends to be rich with discussion points. 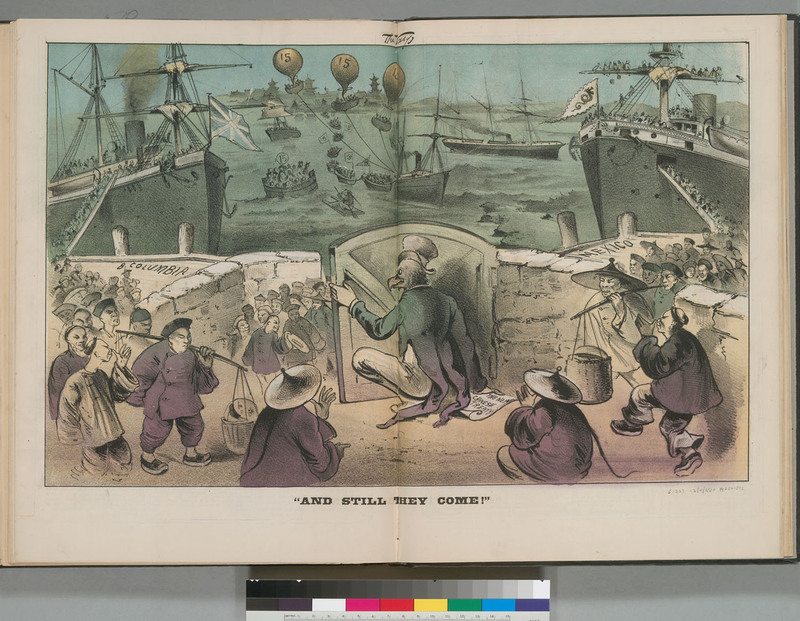 We have created questions and answers for this 1879 cartoon which comments on legislation that would have restricted the entrance of Chinese immigrants to 15 at a time. The only law in U.S. history that singled out a particular ethnic group, this act restricted any Chinese immigrant who was skilled or unskilled in the business of mining, effectively excluding all hopeful entrants from China. The justification given was that it helped to maintain law and order. The act was extended ten years later as the Geary Act and remained in place for decades afterward. It wasn’t until the mid-20th century that large-scale immigration reform altered the number of allowable international immigrants. We have included a copy of the law as well as questions and answers for students. For more information on this era, please check out our Rise of Industrial America and Response to Industrialism PowerPoints. Is America a melting pot? This 1950s film “Who are the people of America?” tells a simplified story of how American culture was born: through the sharing of ideals. Really great images from life in the 50s. This fluffy piece could spark many great conversations in the classroom, regarding some of the topics not covered and whether it is an accurate portrayal of the immigrant experience. We have included a chart that depicts the number of foreign-born residents in the United States from 1900-1990 along with questions and answers. If you are looking for more information on this topic, please check out our Immigration and Urbanization PowerPoint. This 1946 Encyclopedia Britannica video is made in the optimistic spirit of the post-war years. 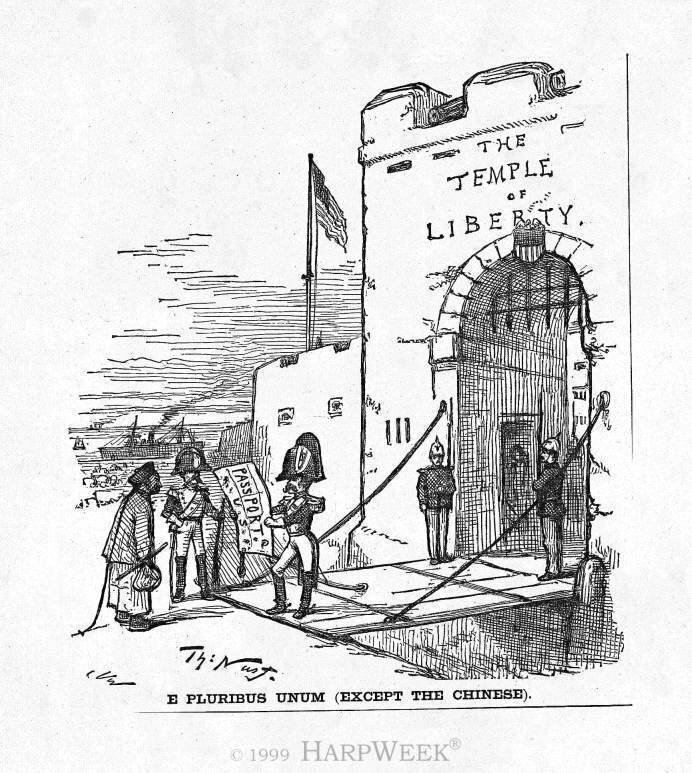 It describes the motivation and origins of American immigrants. Certainly the theme of the film is that the U.S. offers freedom and opportunity that is hard to find elsewhere. If you are looking for more information about American immigration check out our PowerPoint and simulation game. Nice view of the Statue of Liberty. Here’s a neat street scene. We are lucky enough to have footage from 1906, depicting passengers arriving at Ellis Island. 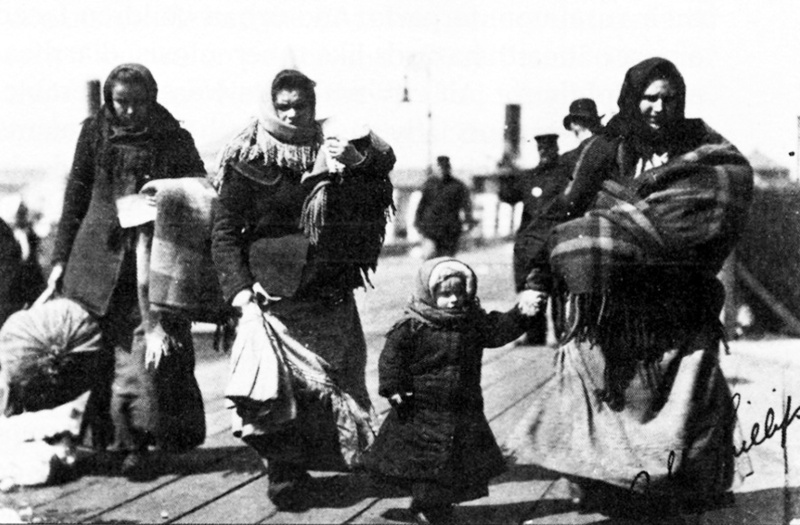 This second video shows immigrants disembarking from a ship in 1903. These videos are part of our Immigration and Urbanization PowerPoint.